Watch the video below to see how you can improve function in a flaccid hand in just 5 easy steps, using Saebo’s innovative rehabilitation technology. The video features a patient with NO finger flexion and NO finger extension prior to applying the Saebo devices. You won’t believe the results! Henry Hoffman Q&A Video Series: Is My Patient Appropriate for the SaeboFlex or SaeboGlove? SaeboFlex vs. SaeboGlove: Which is right for you? 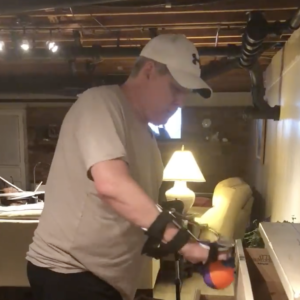 In his latest Q&A Video, Saebo Co-Founder Henry Hoffman addresses the differences between two hand rehabilitation devices. World-renowned stroke rehabilitation company, Saebo, Inc. celebrates their 15-year anniversary this month. Stroke survivor exhibits remarkable improvement in hand function more than two decades after stroke, disproving theories that recovery window is limited to 6 months. 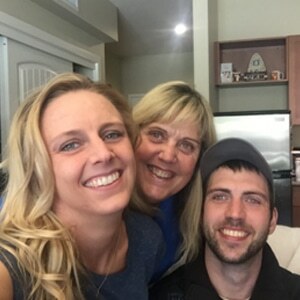 “After learning to put on and take off my SaeboFlex independently, it opened up a large window of opportunity to use my left hand functionally at home, on my own. The SaeboFlex gave me the ability to grasp and release various items with my affected hand. Being able to wear the SaeboFlex more often during the day seemed to aid the muscle tone in my wrist and hand to become more balanced.